Counterprotestors gather outside a rally of white supremacists and members of the alt-right who held a rally near the White House on August 12, 2018. A year after Charlottesville, a 'Unite the Right' rally in D.C.
A couple dozen far-right activists holding a "Unite the Right 2" rally Sunday were heavily outnumbered by law enforcement officers and counterprotesters who shouted emphatically and urged the group to go home. Unite the Right 2 organizer Jason Kessler said he expected 100 to 400 white nationalists to attend. A much smaller group arrived at a subway station near the White House and was escorted by police to the rally site at nearby Lafayette Square. 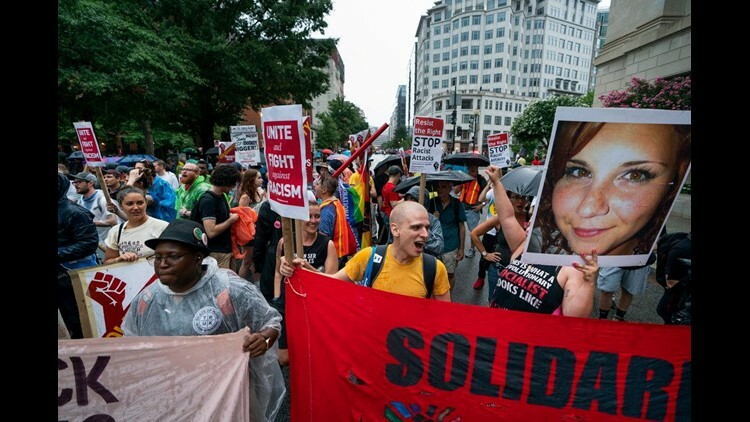 Prior to their arrival, thousands of counterprotesters were out in force all day to mark the one-year anniversary of a white nationalist rally a year ago in Charlottesville, Virginia, which sparked chaos, violence and resulted in the death of counterprotester Heather Heyer, 32. Meanwhile in Charlottesville, a few hundred boisterous activists, University of Virginia students and area residents converged on Booker T. Washington Park to mark the first anniversary. They say white supremacy existed in the community for years — and that can't be ignored. Former White House aide Omarosa Manigault Newman said she secretly taped her firing by White House chief of staff John Kelly to “protect myself.” "If I didn’t have these recordings, no one in America would believe me,” Manigault Newman said Sunday on NBC's "Meet the Press," where she was promoting her new tell-all book, "Unhinged." During the interview, Manigault Newman called President Trump a “con,” a "liar" and a “racist,” doubling down on her claim that the current administration does not care about African-Americans. Manigault Newman acknowledged she was "complicit" while defending President Donald Trump in the past. The family of a man who authorities say stole an airplane from Seattle-Tacoma International Airport on Friday and died when he later crashed the aircraft said they were "stunned and heartbroken" and called him "a warm and compassionate man." Authorities don't know why he took the plane, but he could be heard on audio recordings telling air traffic controllers that he is "just a broken guy." The 29-year-old worked for Horizon Air, helping to handle luggage and tow aircraft. Authorities say he had worked Friday and was in uniform when he got into the cockpit of a Horizon Air Bombardier Q400 plane and took off. 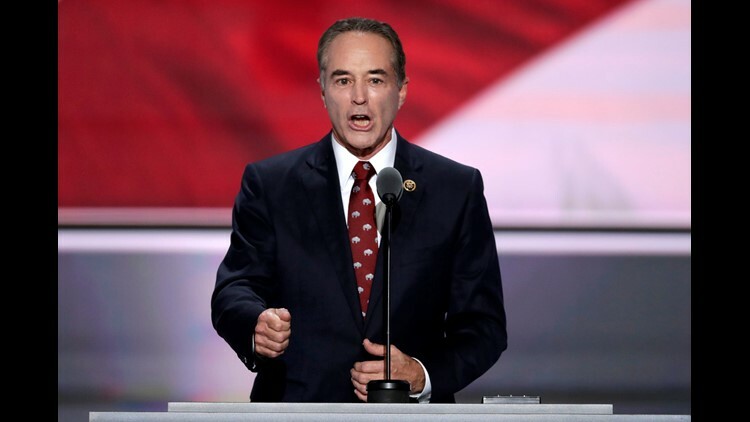 Rep. Chris Collins, the New York Republican congressman who is charged with insider trading, said Saturday he is suspending his re-election bid to keep Democrats from electing a pro-impeachment candidate in the district. While noting in his statement on Twitter that he is suspending his campaign, he made it clear that he was in effect dropping out of the race in New York's 27th Congressional District. He said he will "fill out the remaining few months" of his term to support President Donald Trump's agenda. In this July 19, 2016 file photo, Rep. Chris Collins, R-NY. speaks in Cleveland. Collins was indicted on charges that he used inside information about a biotechnology company to make illicit stock trades. Canadian police have charged a man for the deaths of two police officers and two civilians in a shooting that struck a nerve in a country that has been roiled in recent months by several instances of mass violence. Police in the eastern city of Fredericton, New Brunswick said in a statement Saturday that Matthew Vincent Raymond, 48, was arrested and charged with four counts of first-degree murder. Horizon Health, which delivers care for New Brunswick’s Department of Health, said that Raymond was the only person being treated for injuries related to the shooting. He is due to appear in court August 27. No motive has been disclosed. 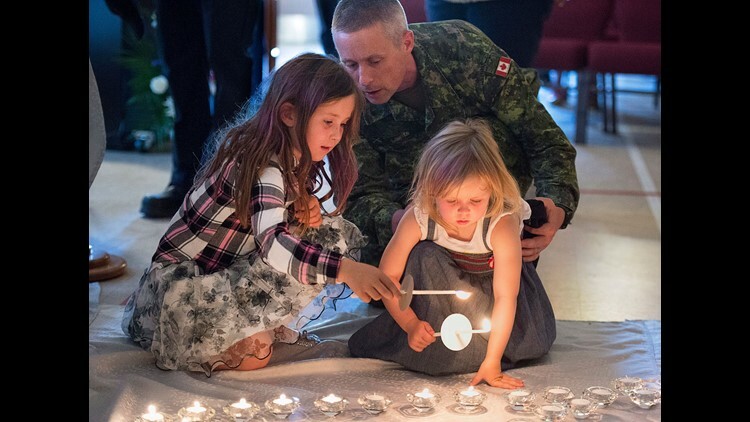 Residents attend a candlelight vigil at St. John the Evangelist Anglican Church, in Fredericton, New Brunswick, Canada, on Aug. 10, 2018.